Are you ready to have "The Time of Your Life" with The Righteous Brothers this summer at Harrah's Hotel and Casino? Featuring Bill Medley and Bucky Heard, this legendary duo bring their soulful sound to the Las Vegas stage. Enjoy a stroll down memory lane and hear such classics as "You've Lost That Lovin' Feelin'", "Unchained Melody" and more sung by one of the greatest rock and roll duos of all time. Blue-eyed soul pioneers The Righteous Brothers are live and in concert at Harrah’s Las Vegas for a limited engagement! Rock and Roll Hall of Fame duo of Bill Medley and Bobby Hatfield topped the charts in four different decades. 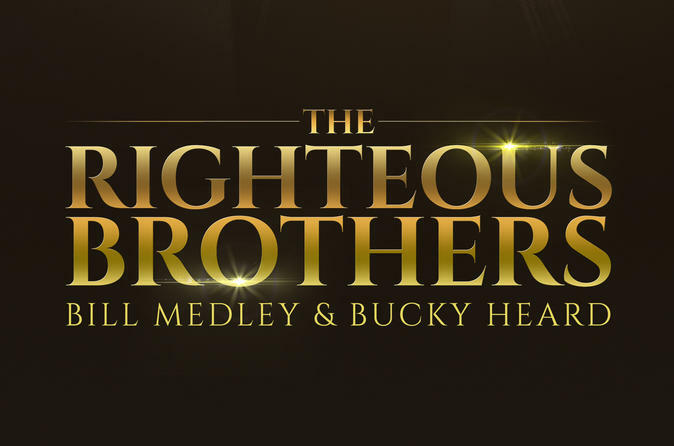 Now, Bill Medley joins forces with one of the most versatile vocalists in America, Bucky Heard to bring the Righteous Brothers back to the stage. The Righteous Brothers concert experience features a string of their biggest #1 hits, including You’ve Lost That Lovin’ Feelin’ (the most played song in radio history), Soul & Inspiration, Unchained Melody, Rock and Roll Heaven, Medley’s Grammy-winning theme song from the hit movie Dirty Dancing - The Time of My Life and many, many more. This is a concert not to be missed! Special Offer - Book with us and save 26% compared to another travel site! - Book Now!